Are You Styling Your Lob the Best Way? For ages, I have kept the styling of my hair to a minimum, but my new lob has encouraged me to think about investing in some styling tools. I particularly like the beachy waves look. This look is achieved by using a salt spray and a loose curl. I love the way this style makes you look like you’ve just come back from a Californian surfing session. I looked at several different options for curling your hair to get this look. One is the Babyliss Wave Envy. This style looks easy to use, as there is no wrapping your hair around the barrel like you have to do with a wand. You just pop your hair into the styler and go. One for the really lazy stylers is the Pro Curl. You pick out a strand of hair, put in it the machine and voila you hair is curled for you! It’s kind of like having your own personal stylist, which is pretty cool. Another method I researched is the do it yourself curl. I like this because you don’t need any tools apart from some hair clips. Divide your hair into four or six sections. Spray a product like curl enhancer or salt spray. Then twist the hair and pin onto the head. It’s that simple. It works best on damp hair, so you’ll even save time on drying. So, yes hair grows back, and I am doing all I can to speed up this process. In the meantime, I am considering investing in some hair extensions to get that luxurious length and volume feeling. There are lots of different extension products out there including real or ‘remy’ hair and synthetic hair pieces. The synthetic hair pieces are interesting, and you can get faux fringes, buns, and ponytails which are a quick, fun way of changing up your look. For a natural look and a longer lasting product, I would go with the remy hair. One of the best things about real hair extensions is that they can be dyed to match your exact hair colour. They can also be heat styled without melting, and can be washed with shampoo. When I cut my hair, I thought I would miss wearing it up. Luckily, it is long enough to get into an updo! I’ve had a look around for some nice styles for lobs and I have come across two that I particularly like. 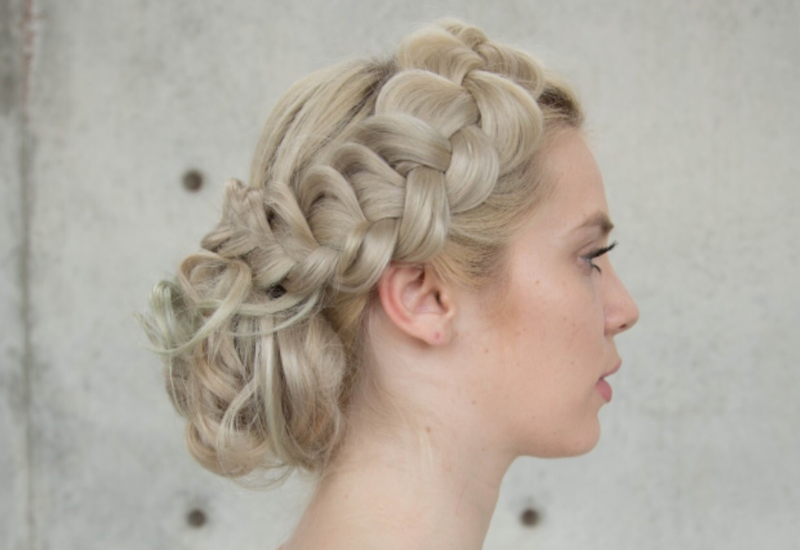 For those of you with some serious hair skills, you can try braiding the front into a crown. Also, half up half down works well on a lob. Remember to volumise with a bit of backcombing and hairspray first!